Divorce is what legally ends the marriage between you and your former partner resulting in a decree nisi and a decree absolute. It can be simple, or a lengthy, contentious process, depending on the parties involved, and how they agree to divide property and assets. Concerning children, divorce can be equally straightforward or problematic. You will have Parental Responsibility for the children born in wedlock with your partner. You will have to Pay Child Support, or maintenance, which can be worked out with your ex or a monthly sum mandated by the Child Support Agency (CSA), depending on your income. This is the easiest way, if you can reach an agreement in direct negotiation with your ex or through mediation. There’s less acrimony and generally a much better atmosphere to the proceedings and you can take the agreement to court, and it becomes legally valid if signed by the solicitors employed by you and your ex. Be aware, however, that mothers have flouted these agreements in the past, and some will again. If so, you’ll need to obtain a court order to have them enforced, and even then those might be breached. A great deal depends on the goodwill between you and your former partner. Some feel it is better if you represent yourself in court, using someone called a McKenzie Friend, who is a person familiar with experience of the legal and divorce processes. Others feel your interests will be better served by employing a solicitor to argue your case for you. In the case of an acrimonious divorce, you might find your ex making accusations against you. You’ll need to be prepared for this. If you’ve had contact with your children before the divorce hearing, keep a parenting diary with full details of the contacts, dates, etc adding photographs if possible. Where children are old enough to voice opinions, their wishes are taken into account by the court regarding contact and residence. Another important part of the proceedings is the Cafcass Report, where both parents, other carers, teachers and others are interviewed to reach a determination. Courts mostly follow all the recommendations of the report. However, if you’re unhappy with any part of it, you can challenge that, or even request a new report by another officer. The tradition in contact tends to be every other weekend and half the school holidays with you, with your children spending the rest of the time with their mother. However, it’s quite possible to suggest other arrangements, especially if that’s what your children desire. Joint residency, for example, is a relatively new concept here, but one which is widely practiced in Europe and gaining traction in America. Keep up your maintenance payments, making them on time and in full. This shows responsibility to your children and eliminates at least one legal hold your ex might have over you. If unemployment or other factors make payment impossible, keep full records and present them to the court. If possible, create a co-parenting plan with your ex. This can help head off any future problems and means you really are putting your children first. Finally, never use your kids to pass messages to your former partner. Keep them above the problems you two have. For more information about the Cafcass family report - see here. You want to know (my plan ex )well here goes get your daughter off social media with my surname and you do it (legally ,officially )like you where going to do back in 2015.you do that for me and I won’t come for you otherwise I will come for you and reclaim my honour( gods truth) .now I want her to (understand) this and be (crystalclear ).the truth I am (Timmy and proud ).so now she knows where she stands with me . @Fu2019.your post reminds me off Someone ?it’s quite( astounding to me ).i am a big fan off technology I love the( brain age ).i keep finding my ex all overthe internet it’s quite remarkable to me this has been happening sence 2015 everywhere I look she is already there .so she must know that she is in the( wrong )and this is the thing that gets me .she still withholds my daughter out off spite .so I like to play games with her because she deserves it .she even copies my hand writing.i personally think she wants it real bad ? Im currentky struggling,, my wife cannot see any good in me, anything i do or try to do is wrong. I own my own business and work all the hours to provide for out children(2 from her previous marrige 16 and 18) and our own girl whos not even 2 yet. I adore them all but shes been saying she wants a divorce and want to take the kids and and speak to her solicitor about the business. She doeant work, she does the accounts for the business but has started back at college so basically i work and pay for everything including all the holidays she needs every year!! !I dont know what yo do. Im afraid shes going to take all the kids away from me especially my little girl who sits ans watchs for me coming home and want half the business which will make me go bankrupt. Theres credit card bills into 20k and the morgage at over 1k per month and i cannot afgord that all plus finding sonewhere else to stay etc. Sorry if this make no sense im pretty uoset to tonight and heads all ovee the place. Where do i stand and any info? Sad and depressed I am in exactly the same situation as you.3 kids want 3 nights Don’t know where to turn. @sad and depressed.you deserve 7 nights a week mate and the only one at fault is your ex so get yourself to court get bloody good solicitor .then you be happy as Larry . Been wife my wife for 15yrs married 10yrs. Have 3 kids which I adore. My wife hasn't worked whole marriage cause I worked hard to keep them. Things started going wrong before last child born about 5yrs ago. Both sides at fault but my wife started an affair with personal trainer. Last straw for marriage. We are happy to part ways but I'm entitled to see them 3 nights a week surely? She isn't allowing this.Need some advice please. My wife wants a divorce. I agreed as there is no way to fix the situation. We have 1 child. Married for over 10y. The mortgaged house is 50/50 base equity although she paid the deposit when we bought it. She wants to keep the house, keep the children and me out ASAP. I am unemployed at the moment although I used to make a very good salary for most of our marriage and I used to pay a lot more than her for the house cost, credit cards repayments, bills, etc but she always paid her half of the mortgage. We want to go through mediation.I want to sell the house, get my share of the house, help her relocate somewhere suitable so we can both move on with our lives. But she just wants everything. What is the likely scenario to happen ? My divorced friends are telling me that as the primary carer and if we go to court ( after mediation fails), she will be likely to keep the house and I will be forced to leave and pay for child maintenance, house cost & mortgage. Is this true ? I have been divorced for 10 plus Years, my ex wife lives in the family home. We have two children,our son is 21, and our daughter is 18 and has lived with me for 4 years in my flat, she is still in education. Can I not now request that the house be sold? My estranged wife is saying that if she doesn’t like my new girlfriend she will not let her meet my daughter. She left me 9 months ago, and we are going through a legal separation. I see my daughter often and I’m very devoted to her. However she’s being really horrible and unreasonable, especially seeing as she was initially fine with me seeing someone but found that they have a mutual friend and has accused me of lying to her. There’s nothing wrong with my new partner - she’s been very respectful.I don’t think she has a legal leg to stand on, any ideas? Thank you for your understanding, this is such a horrible position to be in! Any advice very gratefully received! I am sorry to hear this. Unfortunately, if your ex wishes to be awkward then she can be. The link here, will tell you all you need to know regarding the process required. Our dads on the Separated Dads forum may also help you further, as they can advise from personal experience. My estranged wife is saying that if she doesn’t like my new girlfriend she will not let her meet my daughter. She left me 9 months ago, and we are going through a legal separation. I see my daughter often and I’m very devoted to her. However she’s being really horrible and unreasonable, especially seeing as she was initially fine with me seeing someone but found that they have a mutual friend and has accused me of lying to her. There’s nothing wrong with my new partner - she’s been very respectful. I don’t think she has a legal leg to stand on, any ideas? Thank you for your understanding, this is such a horrible position to be in! Any advice very gratefully received! There are no laws governing this - much depends upon the parents. Please see the link here . Hi.I've been married for 4 yrs, and have a joint mortgage and three stepchildren aged between 10 & 15, I also have 3 slightly older kids which come over every 2 weeks, anyway things aren't working out, and can't see this marriage lasting, I've tried mediation etc but she refuses to co operate, would I be correct in assuming that she has the right to live in the marital home until the youngest is 18?not sure I can handle 8 years of misery, what advice can you give me? Unless the children are yours, then your ex doesn't get automatic residence of the house as she would if you had children together. Much depends upon whether she can afford to buy you out or keep the house on. In this case, you may wish to seek legal advice. Hi...I've been married for 4 yrs, and have a joint mortgage and three stepchildren aged between 10 & 15, I also have 3 slightly older kids which come over every 2 weeks, anyway things aren't working out, and can't see this marriage lasting, I've tried mediation etc but she refuses to co operate, would I be correct in assuming that she has the right to live in the marital home until the youngest is 18?...not sure I can handle 8 years of misery, what advice can you give me? My wife dropped a bomb shell over three weeks ago and said she want her space and wants to break up we have a joint mortgage and a young son aged 14, I have done everything to persuade her to make it work for our child's sake so not to affect him in anyway,we are doing things amicabley and have come to terms and agreed to the split and plan to sell the house and split the proffet equally,but she's turning so bitter as Iam playing it her way and I don't think she expected my actions to be so cool about the situation Iam at my Witt's end with worry as Iam unsure of how this is going to go leagaly.i have not done anything wrong and she said she will try and buy me out but but only offered me a small amount of the proffet and said she will stay in the house and pay me the rest in a few years is this write? I don't no if she is planning something else how do I stand in this situation can she dictate to me and is this her Wright's because our son is 14 years old I refused her term's as I have to find somewhere else to live and safe hard my self and my son futer please help.Thank you. I am sorry to hear this. As a rule, if the matter went to court, the resident parent is usually allowed to remain in the house until your child has finished full-time education. If you took the matter to court, the court will always put your child first in making any decision. Court will also cost, so if you can it is best to agree between you or via mediation so that you can come to a more formal mutual agreement. My wife left me over a year ago, she has asked to divorce me on 3 occasions i finally agree and she states i have to pay ! so i start the process but she wont let me have the foreign wedding certificate even though she previously had agreed.unless i pay her off when we had no money or assets I'm a good father who has our daughter half the time and pay maintenance. she is awkward at every moment - even after she left me suddenly. I dont know what to do, does anyone have any guidance for me, i just want to move on with my life, she now sees that and has carried on like this. Only a court can remove your PR and PR is only removed from a parent by court if there is a very good reason. 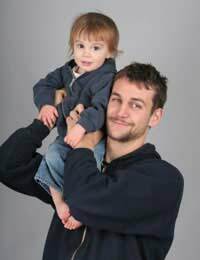 Hi my ex has my daughter once a fourtinghtfor 5 hours, he keeps taking her to his new wifes house, i wasnt told he was getting married not that i care, but i live 30 miles away and he keeps taking her out of my home town without my concent,im only finding out once she gets home she is only 7 and has autisum. What can i do about this i hate that i dont know were she is when she is with him who i dont trust due to the past actions with my daughter , please help someone!!!! I need some legal help. I am currently married but close to separation/divorce. Me and my wife currently have a joint mortgage in place and no prior financial agreement. My wife put a considerably higher amount into the house than me. However, I have a 6 year old child from another relationship whom stays at mine every other weekend, on the basis she is in a comfortable safe environment with her own room which she has.Should I get separated/divorced I will not have the fiance to afford a two bedroom property close to my child to maintain access over night.I'm actually sure how I would house myself. My wife earns more than me and we have no children. What rights do I have to the property / potential capital ? What options ? As getting divorced and losing access to my daughter will be a huge blow. HELP. Much depends upon how long you have been married for regarding what the division of capital/assets will be. If you have been married for under five years, then it is likely you will both financially take out of the marriage what you put into it percentage wise. The fact you have a child from another relationship will not be factored in, if the matter goes to court. Your best option is to decide amicably between you both, as if you disagree court will cost and has a habit of sucking up in legal costs any financial benefits you could hope to accrue. Hopefully, you and your wife can come to an agreed arrangement between you that will satisfy you both, allowing you both to comfortably move on. I need some legal help. I am currently married but close to separation/divorce. Me and my wife currently have a joint mortgage in place and no prior financial agreement. My wife put a considerably higher amount into the house than me. However, I have a 6 year old child from another relationship whom stays at mine every other weekend, on the basis she is in a comfortable safe environment with her own room which she has. Should I get separated/divorced I will not have the fiance to afford a two bedroom property close to my child to maintain access over night.I'm actually sure how I would house myself. My wife earns more than me and we have no children. What rights do I have to the property / potential capital ?What options ? As getting divorced and losing access to my daughter will be a huge blow. HELP. My partner and his wife split 2 years ago. He continued to pay everything (mortgage, all house bills, her car, her phone bill, internet everything) for almost 2 years. He’s been trying to get her to come to a financial settlement but she keeps avoiding the conversations. They are now divorced but still no financial settlement. My partner now pays the mortgage in full (which is almost £300 more than his child maintenance costs would be) in lieu of child maintenance at her request as she has chosen to become self employed and doesn’t qualify to take over the mortgage. Her car is also in my partners name and she is still avoiding getting rid of it or buying it off him to get him out of the lease agreement. They both have a lot of debt and my partners Dad lent them £20k as a deposit on the house which he now wants back. My partner has suggested selling the house, paying the debt off, paying his dad back and then giving her 60% and him taking 40%. She is refusing to do this. She wants to stay in the house forever and have him continue to pay the mortgage in full. They have 3 kids who live with her. Where does my partner stand? It doesn’t seem fair that he has to stay tied into a mortgage for a house that he doesn’t live in until the youngest leaves school (another 9 years) or have this car in his name. He’s paying more than he should. He’s a great dad and a wonderful person who is being taken advantage of. What are his rights? Can he force a sale of the car or house? He suggested selling the house in 13 months time which gives her plenty of time to sort work and living arrangements out. He’s trying to compromise but she won’t budge. It doesn’t seem right than she can be ‘self employed’ with no stable income when she wasn’t ever before and demand he keep paying the mortgage? He can’t afford solicitors and court, any advice?